have you ever thought about SNOW-YOGA? With the adrenaline rush of riding through fresh powder combined with mountain air, sunshine and the chance to completely let go, it's no wonder the addictiveness of skiing and snowboarding appeal to so many. The slow and thoughtful practice of yoga in contrast seems very far removed from the high-energy, fast paced action of the slopes. Yet their differences make them totaly complimentary to each other. The last thing you want to happen when you come on holiday is to injure yourself. Especially if the sun is shining and there's a fresh blanket of snow. So by using your daily yoga practice to strengthen and improve your stamina and then stretch out tired muscles at the end of the day, you're not only looking after your body but giving yourself a good chance. Instead of a hot toddy, try yoga after a day on the mountain. a bit of Art and culture: the magic Venice! Arriving on Saturday 9 March at Marco Polo Venice airport, we will have the opportunity to see the beautiful and mysterious Venice before getting to the slopes! A visit of the most important places (Piazza San Marco, Ponte dei Sospiri, Ponte di Rialto, Canal Grande, ...), a dinner in a typical restaurant and a night in the beauty of this magic city is foreseen. The stay for the night in the family-managed Agriturismo Ca' Beatrice. Rooms are ultra-modern with a refined design and offer free Wi-Fi and a chromo therapy shower. Each room features elegant parquet floors, an LCD TV with satellite channels, and air conditioning. On Sunday morning a private bus will bring us to the mountains! 11h35 - 12h15 For people coming with Brussels Airlines Meeting at Venice Marco Polo airport. 12h20 Stop at the hotel Ca'Beatrice. Ca'Beatrice, Via Triestina, 99/a, 30173 Favaro Veneto (VE), Italy. 13h15 Join us to explore the magic of Venice, lunch in town by its own means. 20h00 Dinner in a typical restaurant. 22h30 Night at the Hotel in Venice. 07h30 - 09h00 Flow yoga class. 09h00 - 10h00 Breakfast Buffet. ~11h00 Transfer to the mountain with private bus. 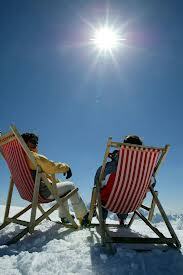 Chilling, getting your 5-day ski passes, renting the material if needed: skis & shoes. 17h00 - 18h30 Flow Yoga class . 18h30 - 19h30 Free time. 19h30 - till… : Drinks* by the fire & dinner served shortly after! 07h30 - 08h30: Yoga class - get warmed-up for the morning. Strengthening & stretching in order to get prepared for the day on the skiing. 08h30 - 09h30: Breakfast Buffet. 09h30 - 17h00: Ski, snow & chill out time - Choose from skiing, snowboarding, hiking, sledging or chilling in the mountain bar terrace. You may take your lunch* on the slopes & continue to enjoy the skiing. Some warm-up and stretching on the slopes. 17h00 - 18h30: After-Ski Yoga class - gentle, restorative practice. Relax at night with a glass of wine or a hot chocolate under the stars on your own private terrace. 06h00 - 06h45 Breakfast buffet. 06h45 - 07h00 Check out. 07h00 Departure for Venice Marco Polo airport with private bus. <11h00 Arrival at Venice Marco Polo airport. If you've never skied and want to join us, we will book a ski-shool* for you. If you are more a chill out person, you can enjoy the two daily yoga classes, take your time and read your favourite book in a sunny mountain terrace sipping hot chocolate. upper body strengthening to balance out the lover body intensity of skiing. There is no pressure if you wish to snooze in the morning or leave a few classes out. However the cost of the retreat remains the same. Vinyasa - Flow yoga is a term that covers a broad range of yoga classes. The word Vinyasa means “breath-synchronized movement.” In other words, the teacher will instruct you to move from one pose to the next on an inhale or an exhale. This technique is sometimes also called Vinyasa Flow, or just Flow because of the smooth way that the poses run together & become like a dance. This style allows for a lot of variety, but will almost certainly include Sun Salutations. expect movement, not just stretching. Whether the class is fast or slow, includes chanting. Some very popular yoga styles, such as Ashtanga & Power Yoga, make use of the Vinyasa method. A winter holiday in Alta Badia, in the heart of the Dolomites - UNESCO Natural World Heritage Site and the centre of the Dolomiti Superski erea, a ski circuit in the Italian Alps which is unrivalled internationally, means of course ski, snowboard and cross-country skiing. a perfect starting point for some of the most beautiful ski Alps, such as the Sallaronda, the "first world war skiing tour" and the route to the Marmolada glacier. The night in Venice U stay at: - Ca'Beatrice, Via Triestina, 99/a, 30173 Favaro Veneto (VE), Italy. Week in the mountain - Hotel Störes, Str. Plan 22; I-39030 San Cassiano (BZ) / Alta Badia in South Tyrol. You will be welcomed with courtesy and professionalism in a family environment, with typical wooden Tyrolean furnishings and by the warm mountain atmosphere. San Cassiano in Alta Badia (South Tyrol) is the ideal place for a peaceful and relaxing stay, in contact with nature and surrounded by some of the most beautiful and majestic Dolomite peaks. there are 9 rooms for 2 persons (shared room with single or double beds) and there are 3 family suite rooms (brand new rooms) that can be share into 3 or 4 persons. Each room has one bathroom. Comfortable rooms furnished with taste and functionality in Alpine style, with wood worked by the valley's master craftsmen, offer pleasant days spent in the open air. Wellness and relaxation area equipped with a sauna, hydro massage tub, alternate baths and solarium to recover form and vitality. Ski & snowshoe storage directly at the Piz Sorega cable car stop. 1410€ per person for the week in half-board accommodation with hotel facilities in Alta Badia, the transport from Venice to the Alps (San Cassiano, Alta Badia) and back, the yoga classes, the 5-day ski-pass for Dolomiti Superski 1200 km slopes, and the stay in Venice with its typical dinner. Maximum 20 participants to keep this week exclusive! just lett me know if you do so and I'll adjust the retreat price for you. along deposit of 400€ to secure your reservation. Final payment is due by 1st February 2013. Flight, travel & cancellation insurance, lunch, alcohol drinks, extra food or drinks, mini bar, all gear rent, health insurance, *- additional services. You can go to Venice by plane. The city can be reached with convenient low cost transportation to the airports of Venice/Treviso and Venice Marco Polo (respectively with Ryan Air and Brussels Airlines). we organise the transfer from Venice to Alps. A private bus will pick us up at Venice and will bring us directly to the hotel in San Cassiano, Alta Badia. In the case you would like to join us directly in San Cassiano, Alta Badia, then we can provide you a road description if you wish.